Orlando personal injury attorney James O. Cunningham was alarmed to learn recently that CooperVision, manufacturer of the Avaira line of contact lens products, has expanded an August recall after customers complained of hazy vision, eye discomfort and severe pain. CooperVision’s expanded recall now affects 6.6 million pairs of Avaira Sphere lenses in addition to the previous recall of 600,000 Avaira Toric lenses last summer. CooperVision urges customers who bought and used either type of lens anytime in the last 12 months to check the lot number of the lenses and call 855-526-6737 to see if the lenses are part of the recall. The lot numbers can be found on the back of the packaging as well as on individual blister packs containing the products. Customers can also enter the lot numbers into a field on their special recall page at http://www.coopervision.com/recall to see if their lenses are part of the recall. If customers find that their lenses are affected by the recall, they are urged to stop using them immediately and return them to the store or eye care specialist where they bought them, and they will be replaced with new lenses that are not part of the recall free of charge. In an odd turn of events that defies the usual protocols for a product recall, CooperVision has elected not to release the lot numbers of the recalled lens products publicly. However, the manufacturer has given this information to eye care specialists who sell their products and is asking them to contact their customers directly. CooperVision has acknowledged that 4.9 million of the Avaira Sphere lenses have been shipped to customers around the world. They claim that an excess of silicone oil residue left on the lenses from the manufacturing process is causing the eye problems. Thus far, it appears that no one has suffered any permanent damage or impaired eyesight from using the lenses. However, Mr. Cunningham would like to remind readers that the most recent recall was just announced, and with nearly five million pairs distributed throughout the world, it may be some time before the true scope of the eye problems is known. If a defective product has harmed you or a close family member and you want to learn more about your rights and legal options, call Mr. Cunningham today at 888-425-2004 or 407-425-2000. 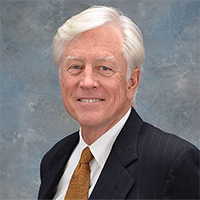 He has used his skills and experience as an Orlando personal injury lawyer to help injured people since 1977 and has a proven record of success in product liability cases. Call today!